Nina has been with Mountain State Centers for Independent Living since 2010. During this time she has served many different roles. 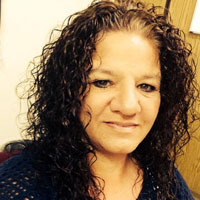 Nina was initially hired as an accounting assistant for the Employment Services Division, but her role changed through the years by working as an Employment Specialist and Community Resource Advocate. Currently, Nina is a Fee for Service Coordinator providing services such as the Employment Services Division and Accessibility Services. While working on many fee for service activities, she also assists staff with other duties such as job coaching, intakes for new consumers, monthly report writing, and other various duties as needed. Nina is married with three sons, and enjoys attending their high school and college football games. During her free time she enjoys spending time with her family, traveling, cooking, and various outdoor activities. Nina is proud to work for an advocacy organization such as Mountain State because it gives her the ability to advocate for the rights of people with disabilities. She is a past secretary of River Cities Council for Persons with Disabilities, and is a current member of Homeland Security, Cabell County Emergency Operations Center, and Cabell County Sexual Assault Response Team. You can contact Nina in the Huntington office at 304-525-3324 or nwebb@mtstcil.org.